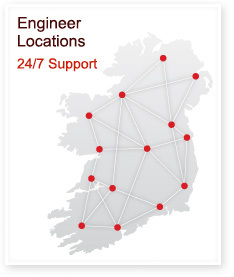 We are recruiting a General Operations Manager for our Headquarters in Ennis. As Daikin agents we now offer a complete range of water chillers. These include both air cooled units and water cooled units, ranging from 5kW all the way up to 9MW. For residential application, commercial applications all the way up to industrial cooling we have a chiller that can suit your needs. Depending on your requirements a number of technologies are available, including multi-scroll compressor, single screw compressors and centrifugal compressors. Multiple efficiency and sound levels are available across the portfolio to suit your specific site requirements. For those requiring maximum efficiency, free cooling and inverter technology ensure that only the minimum power consumption is achieved. A full range of options can be chosen including hydronic kits, BMS interaces, rapid restart and heat recovery. 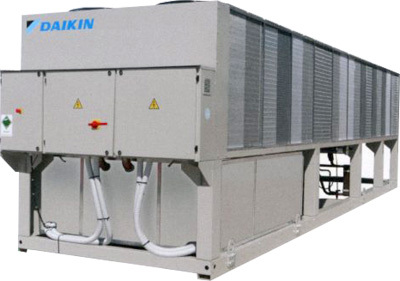 This means that the chiller you get is tailored to your specific site requirements. Combining the market leading efficiency with the quality and reliability that Daikin are renowned for, you end up with a cooling system you can rely on while still being affordable to run.